I own a lot of AURA products, and the more i try the more i fall in love with this brand. Their products are absolutely amazing. I have a lot of lipsticks, blush, highlighter, nail polishes, and because they're all so good, i had to try their newest products, which are these matte lip creams. They are basically liquid lipsticks that become matte after applying on the lips. This range has 13 colors. For now, i only picked two, because i didn't know what to expect, but now that i know i am definitely going back for more. 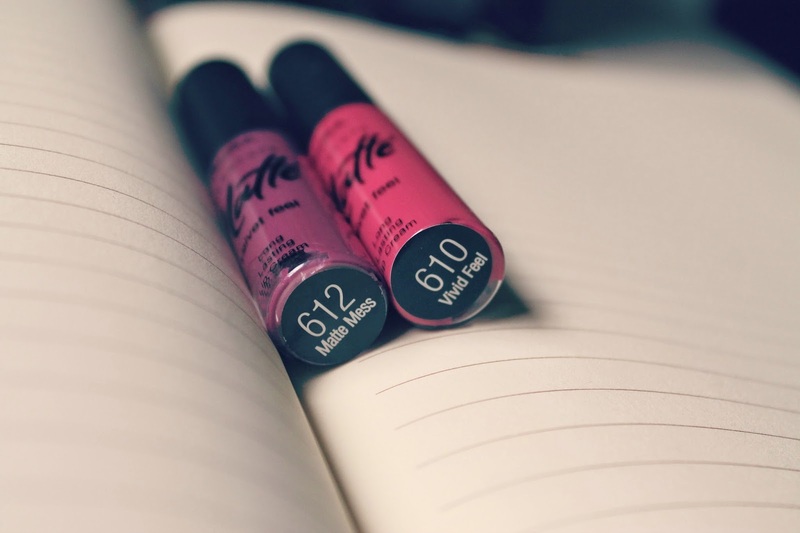 I chose #610 Vivid Feel and #612 Matte Mess. As you can see, they're insanely pigmented and they're very light, you don't feel like you have any product on your lips, long-lasting, and also the smell is nice and sweet, not overpowering. I am officially in love with this brand and i feel like i'm gonna blog about their products a lot in the future. Двата ми се допаѓаат иако потемниот е повеќе по мој вкус. Одамна ги меркам ама се оставам за нареден пат. Се надевам наскоро конечно ќе ги зграбам. 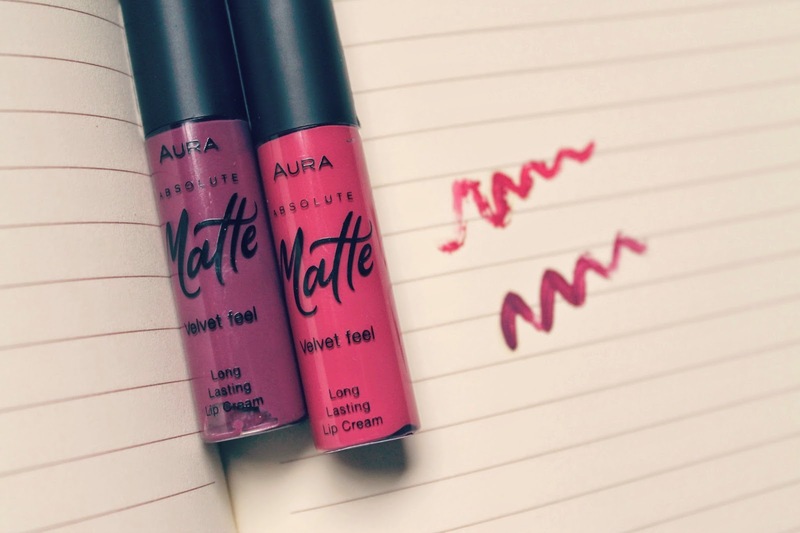 I love Aura, especially these mat lipsticks! all of these shades look amazing on you! I see why you like this brand. They really suit you! They look a little different on your lips then they do on the paper but they're really nice colours! I look forward to more of these product reviews. I really loved the colours, It's so beautiful? Omg I love the 610 one!